I’ve taken a couple of weeks off from the blogging world, thanks to work things and enjoying spring break with our kids. 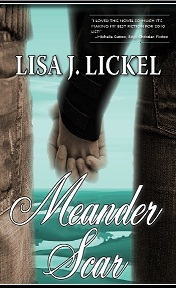 It’s nice to be back today, and especially nice to introduce you to author Lisa Lickel. Lisa and I met through American Christian Fiction Writers and are both posters over at the Favorite PASTimes historical blog. She’s also a regular contributor to other blogs that have great posts about writing and life in general. So, yes, she’s a busy lady! Here’s the official short bio … Lisa Lickel is a Wisconsin writer who lives with her husband in a hundred and fifty-year-old house built by a Great Lakes ship captain. Surrounded by books and dragons, she writes inspiring fiction. Her novels include mystery and romance, all with a twist of grace. She has penned dozens of feature newspaper stories, short stories, magazine articles and radio theater. She is the editor in chief of Creative Wisconsin Magazine and loves to encourage new authors. Find her at LisaLickel.com. Thank you, Leigh, for having me. A recent message I wrote about attitude took a page from winning Super Bowl coach Mike McCarthy’s playbook: when do you get measured for your Super Bowl ring? The fact that the coach had his players measured the night before they played and won probably didn’t cause the players to win the game, but I’m sure it reminded them of the goal. Winning in this business means being read. Being an author is always thrilling in one form or another: either we’re riding high or we’re on the down-swing of the bungee ride; the wind beneath our wings. The journey involves both trust and vulnerability. I write from my gut, spilling out my best words and phrases, sharing my dreams, my heart, in the hope of somebody (in the best Sally Field moment) will LIKE me! And tell all their friends. What’s new with me? I’ve written two novellas and will start another batch soon. I’m so delighted by the direction my new group blogs are taking. Check out thebarndoor.net and reflectionsinhindsight.wordpress.com. I’ve sold some short stories to Harpstring Magazine (check out writtenworldcommunications.com). I became the editor-in-chief of a Wisconsin literary magazine, I’ll be leading two workshops in March and April; I’ll be teaching a course for ACFW online in May, and my sales are picking up. Great thoughts to leave us with, Lisa. Whether we’re writers, readers, or just trying to get through life, we need to work on perspective and discipline. Sounds like it’s definitely working for you, and it will be great to hear when some of your other projects find a publishing house. Thanks for stopping by today! Thanks, Leigh, for inviting me! It’s a busy time of year for us all, and I appreciate your kindness and encouragement and interacting with you at Favorite PASTimes too. There aren’t many people who commit to something and stick with it for as long as some of us writers must before we feel like we’re moving in the right direction. Even then, I sometimes still think I’m crazy. But, hey, that’s part of what lets me know I’m really a writer! Hi, Tracy, and thanks for stopping by! Lisa and I have never met in person, but I hope we might have the chance to someday. She’s one busy lady I could learn a lot from! People are quiet this week – that’s okay 🙂 I’ve had people stop at facebook to say hi too. Thanks again, Leigh. Some day we’ll catch up in person. I’m having fun getting to meet some of my cyber-friends at conferences and book tables at the best surprise moments.